Gyimah has been with R+C for 30+ years and leads the geotechnical department. He brings a philosophy of effective communication and excellent customer service to all of his projects. These traits have resulted in long-term relationships with clients such as UC San Francisco and the SLAC National Accelerator Laboratory, who call upon Gyimah when geotechnical issues arise that require an immediate response. Gyimah has provided engineering and management on most of the firm's major projects. He routinely leads projects that involve marginal, landfill and other difficult sites; evaluation of liquefaction potential of sites and studies of environmental and earthquake-induced hazards; and analysis of soil-structure interaction problems. He served as principal geotechnical engineer on the California Academy of Sciences, de Young Museum, UC San Francisco's Ray and Dagmar Dolby Regeneration Medicine Building, the new Stanford Hospital, and the Lucile Packard Children's Hospital expansion. 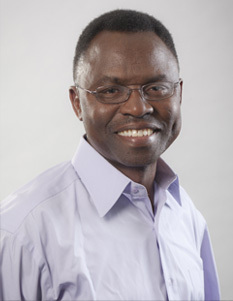 Gyimah is also a noted speaker who has lectured on performance-based design along the West Coast for the Earthquake Engineering Research Institute. Gyimah has served as a member of the Seismic Advisory Committee for the City of San Francisco. He also served as a member of the FEMA-NIBS Building Seismic Safety Council (BSSC) Provisions Update Committee (PUC) for the 2015 cycle and is currently a member of the committee for the 2020 cycle. Gyimah is leading the geotechnical team on two of California's largest hospital projects--the New Stanford Hospital and the Lucile Packard Children's Hospital. Gyimah works with his clients on these large and highly complex projects by providing continuous personal interaction to address issues as they arise.